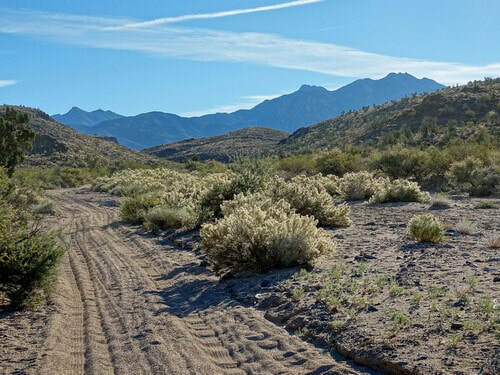 Explore the foothills of the Hualapai Mountains from Kingman to Walnut Canyon. This is an interesting, but not spectacular, trail. 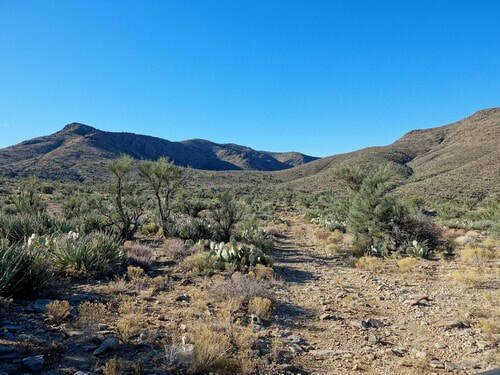 We like it because it gives a tour of the area without rising into the narrower and scratchier trails higher up in the Hualapai Mountains. This one is rocky, but not very scratchy. 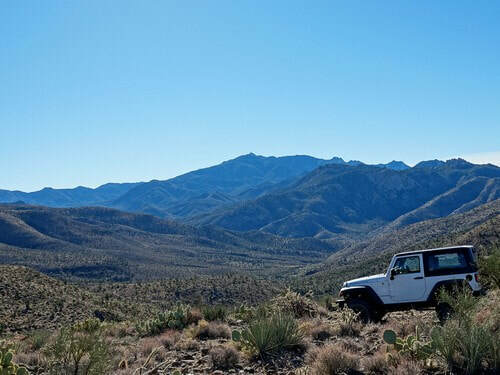 ​We started the trail in Kingman but it can be done in either direction. 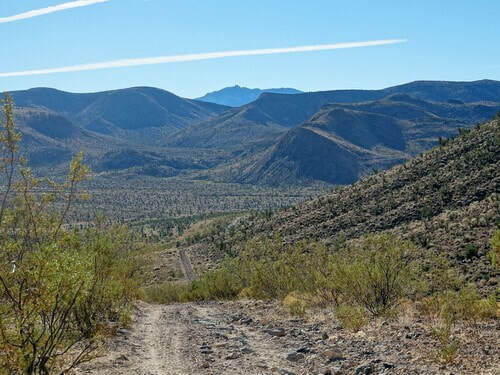 Start this trail in downtown Kingman then follow the original Route 66 south out of town. 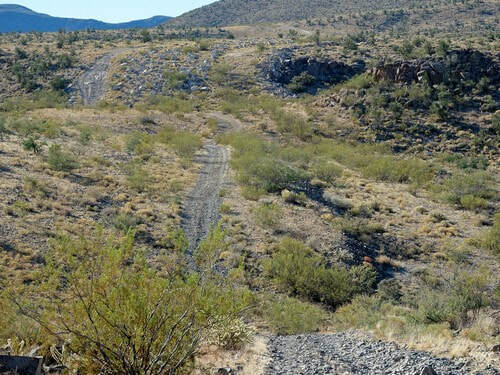 Go under the railroad and travel up a wash and along some lightly traveled roads. Intersect a pipeline and follow along it through higher, open country. This right of way has four individual pipelines. Nice views from the higher, open country. Pipelines go in straight lines so roads that follow them often have steep hills. 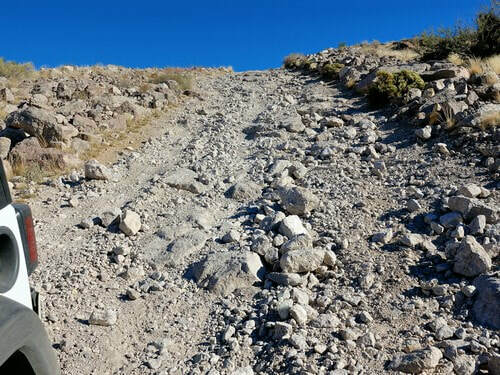 This hill is a bit bouldery, but there is a bypass around the west side of the hill if needed. Continue following the pipeline and drop down into lower country. 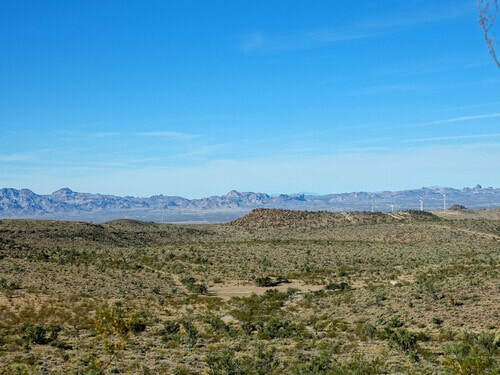 The pipeline turns right and goes out on a flatter route somewhat beyond the foothills. 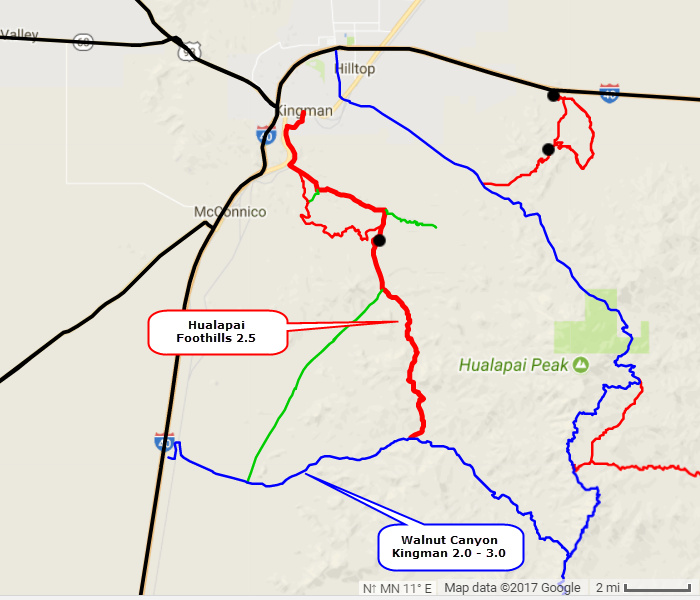 You will turn left and take a route between two sets of foothills and end up at Walnut Canyon 2.0 - 3.0 (opening photo).